And a lot means a lot! 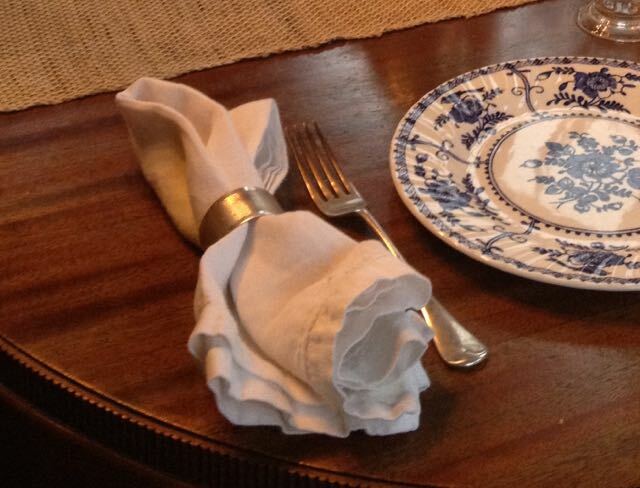 There is nothing like vintage damask napkins. Pure linen and soft from laundering. Damask napkins to me are a luxury but one that I embrace. 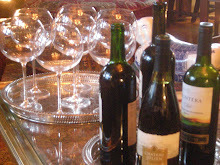 They lend an elegance, I feel, to the table. Which is why you have napkin rings! 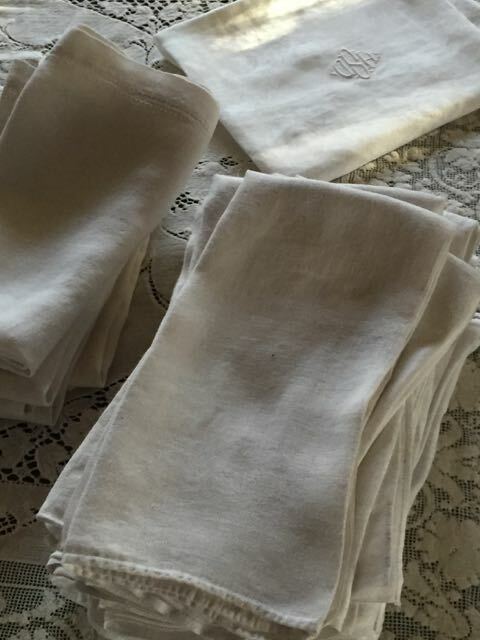 In Victorian times, there wasn't a new napkin for every meal. And the next meal, there it would be at your place! Due to three old red wine stains. And I got an expensive tablecloth! And one that I just adore! There is just something elegant about lace! But they're a bit more fiddly than the lace ones. But one was my grandmother's and I treasure it! 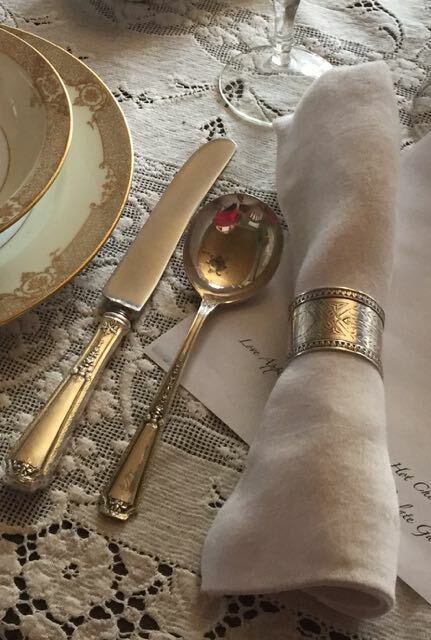 I love damask linen napkins and napkin rings and beautiful table cloths....When my mil went to boarding school in Budapest during WWI every student had to bring with her, among other things, a set of silverware (real silver) and a napkin ring, each engraved with her student number. What is the product you recommend for stain removal? 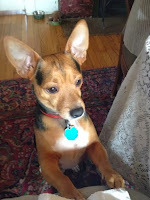 I adore the smaller lace tablecloth on your breakfast room table, dear friend! 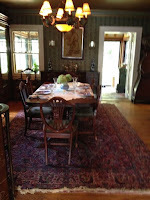 This past week, I was gifted with several lace tablecloths! However, nearly everyone has (yellow) stains. I am reluctant to use bleach. Would you share your product that worked on removing the red wine stains, please? 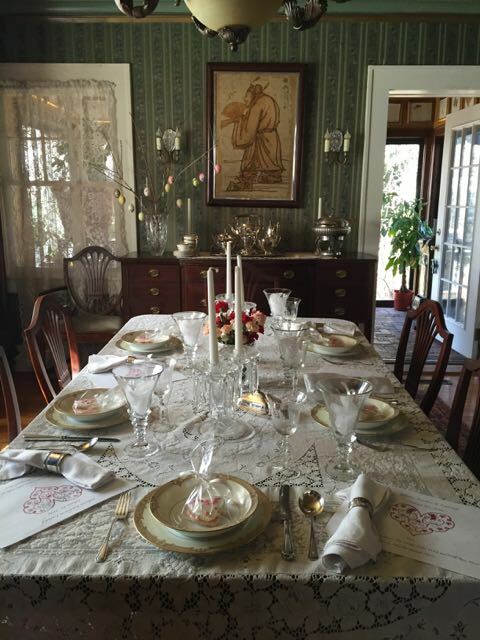 I love to set the table with white cloth and damask napkins. 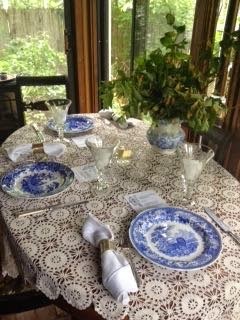 I find the large damask cloth a trial to iron and think back to our days in Germany when it was fairly inexpensive - because everyone did it - to send out the tablecloths to be ironed. They'd come back as smooth as silk, folded over a large hanger and ready to be hung in a closet - so much better than folded into a drawer. The crocheted cloth in your photo is just lovely. Yes, please, tell us the name of the stain remover you used? I have a beautiful Quaker lace cloth that I purchased in an antique store 20 years ago, that has some brown stains. I don't know how to get them out. 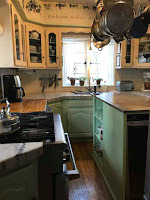 It also has a few holes but those I can cover up with dishes. The stains are more problematic. 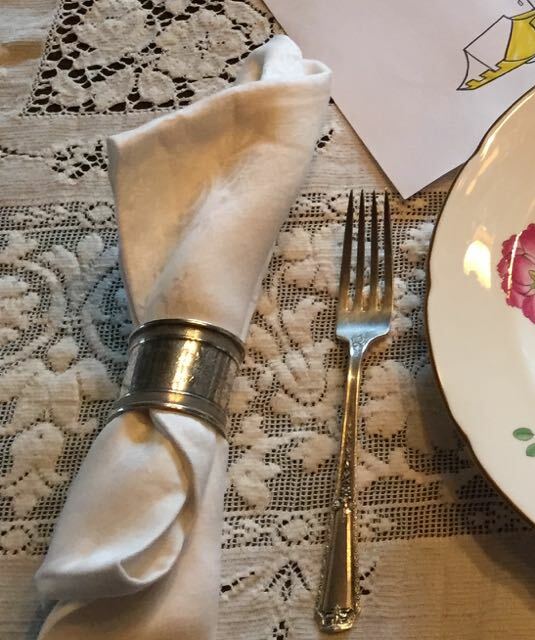 Such beautiful table settings and I love all the tablecloths and cloth napkins. You are lucky to know how to care for them so well. Love how you choose to use all these wonderful treasures.